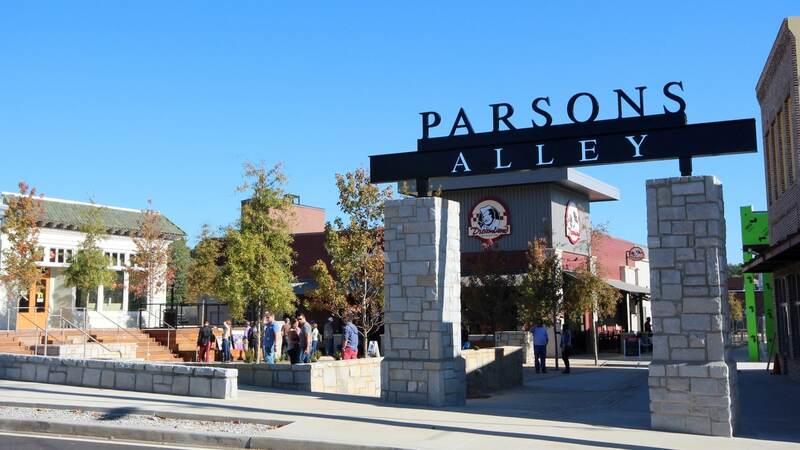 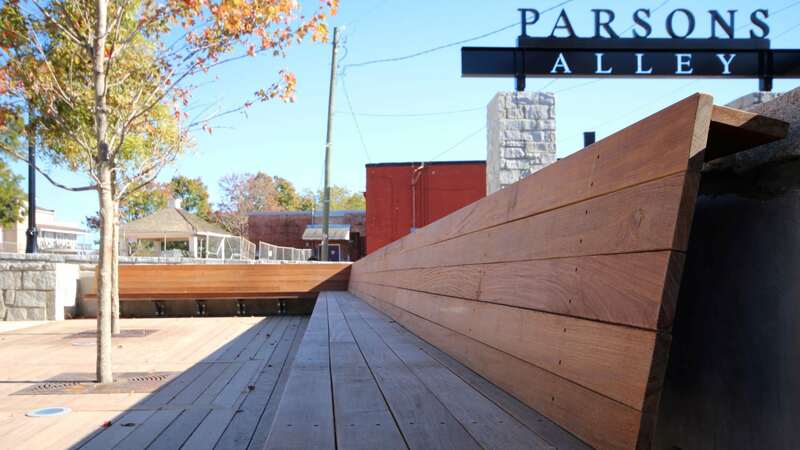 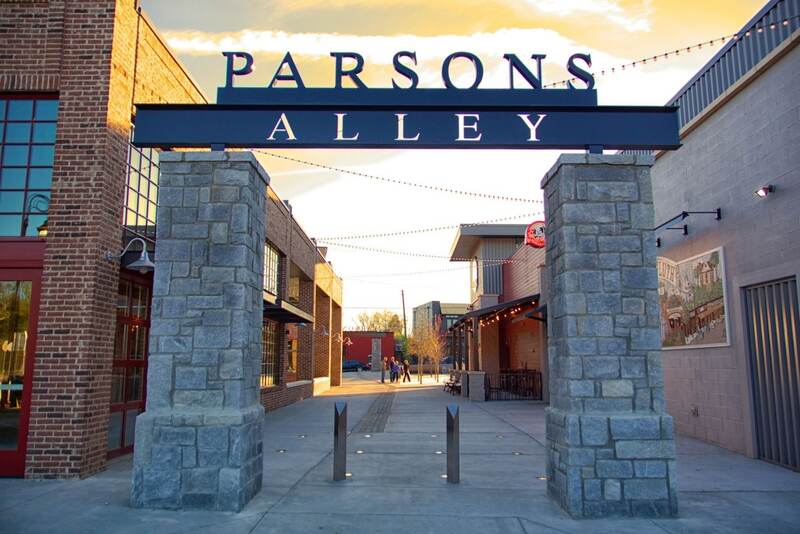 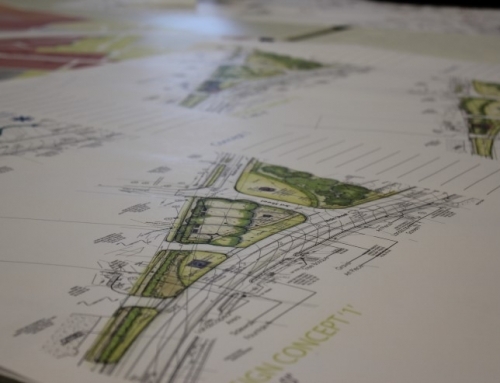 TSW worked with the City of Duluth through a series of concepts and construction documents to create an iconic pedestrian gateway into the historic Parsons Alley as a part of the ‘The Block’ boutique and restaurant district in Downtown Duluth. 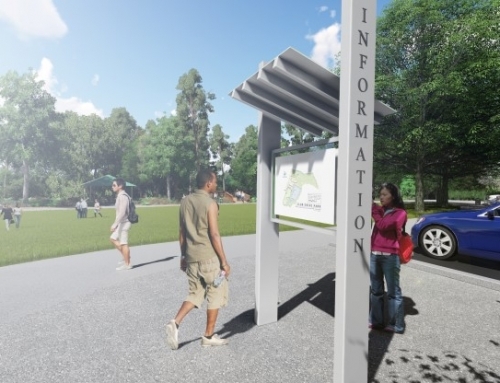 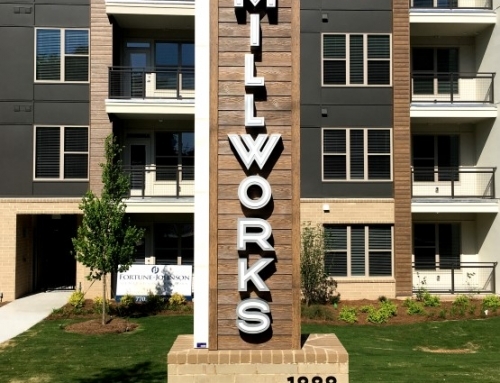 TSW’s design features an entry signage monument with a monolithic granite base and a steel I beam archway to nod to the traditional materials used in Duluth and to blend historical details with a modern atmosphere. 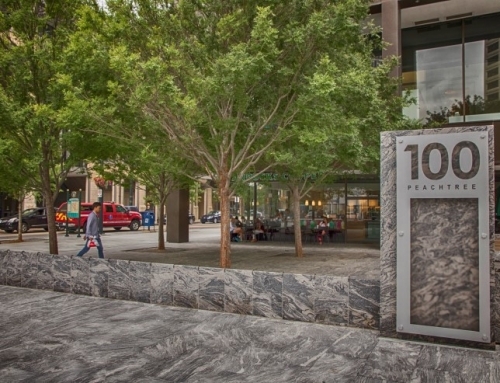 Lighting played an important role in enticing the user to enter the alley and Plaza. 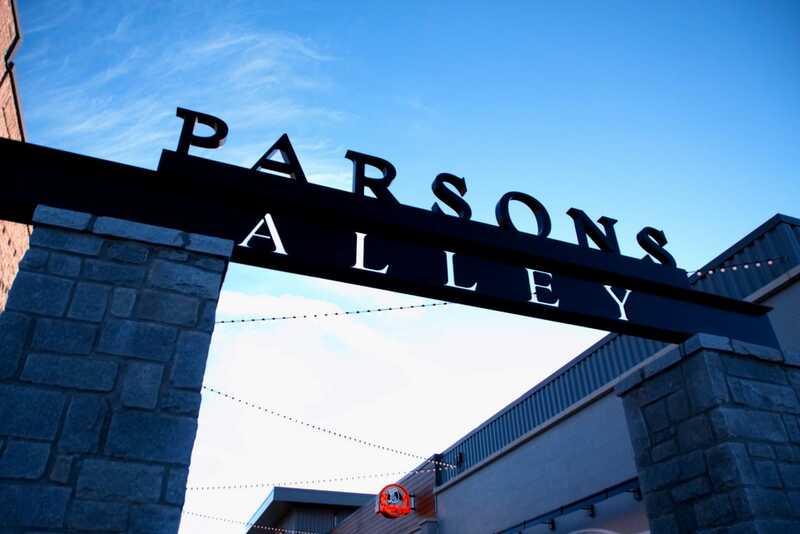 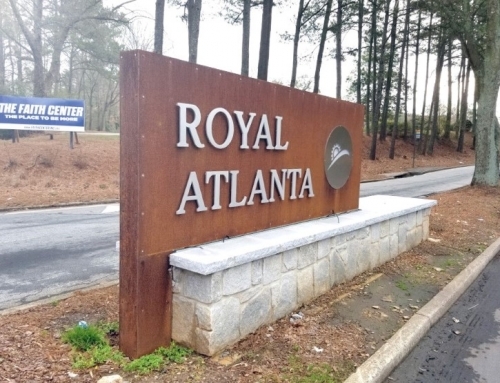 TSW worked with a lighting designer to create an integrated and multilevel lighting approach that included the lighting of the sign itself and overhead and a grid of multi-color in ground lights just beyond the sign.